Is London Fashion Week a distant memory for you? Are the Autumnal colours and hues taking over your Instagram feed? Can you feel a crisp chill in the air? Have you already packed away your Daisy Dukes and your swimwear and brought out this season’s hottest Autumnal trends? We delve into what’s hot this season. You need to think heavy embroidery, chunky knits and transitional pieces, which you’re going to fall in love with this Fall. With Fall/Winter trends making their statement entrance into your local high street stores over the past few weeks. 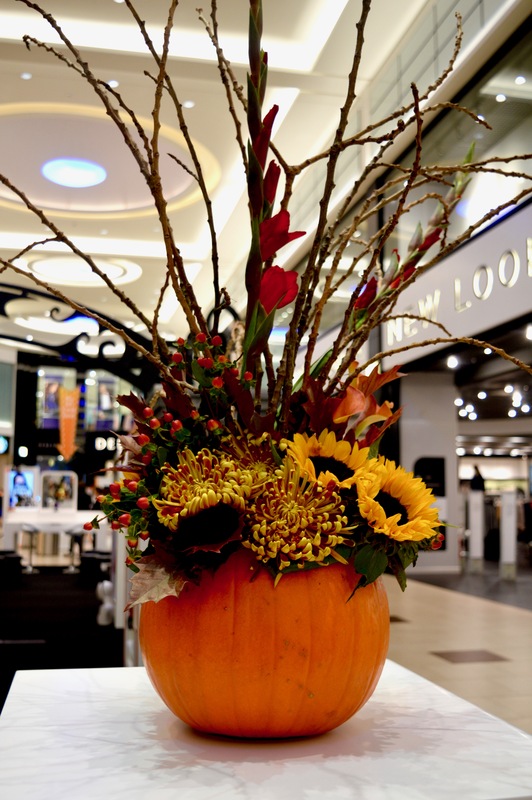 This week sees intu Eldon Square proudly present their Fashion Spooktacular. You’re invited to join in the week-long event which started with a bang on the 23rd October in the newest part of the centre. 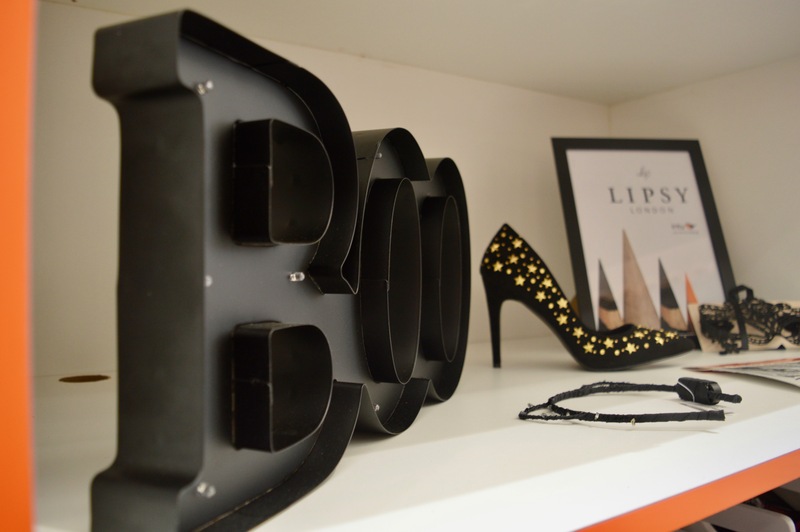 Make sure you catch the Fashion event which is running until the 28th October. 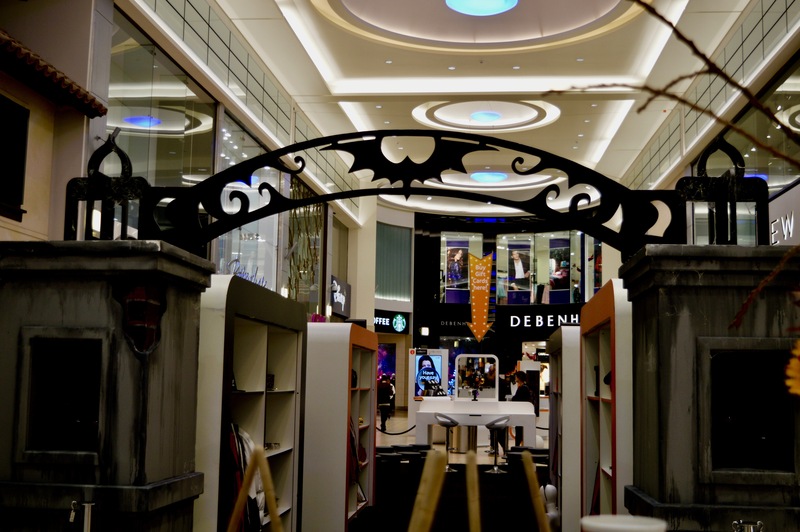 With style sessions, beauty tips and more intu Eldon Square has created a frightfully full programme of events just for you. You’ll want to join the Fashion Fortune Teller, Emma from Stylissimo as she predicts this season’s biggest trends. You may remember Emma from the Summer Fashion festival this July and The Fashion #SelfieSquad at Silverlink. Where she gave us on-trend advice and showed us how to dress for our shape and your colour personality. The Fashion Squad at intu has organised three sessions daily. They’re hosted in the newest part of the mall. Just outside of New Look. Join the intu team where they promise that there’ll not be any paper garlands or chatty wolf masks in sight. You will be shown the chic-est of Halloween homewares. Get ready to ensure that your house or party venue is ready for fright night. In this session, discover this season’s outerwear trends. Including checks, red, folklore, sports luxe and capes all in an Autumnal palette. Think oranges, mustard, black, camel, reds and gold. Here you will learn how to find the right shaped coat to suit your body shape. How to identify the right size of pattern or print and which shade of colour suits you. 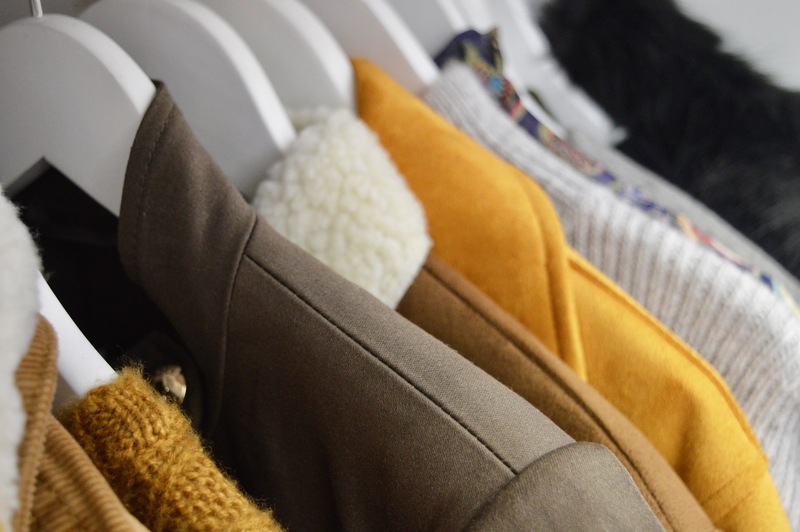 Join Emma, the resident personal stylist who will work with you to build your perfect Autumn/Winter capsule wardrobe. This is based on key pieces which can be paired together to maximise your looks this season. In this session, you will discover this season’s outerwear trends. Including checks, red, folklore, sports luxe and capes all in an Autumnal palette. Think oranges, mustard, black, camel, reds and gold. Here you will learn how to find the right shaped coat to suit your body shape. Educate yourself on how to identify the right size of pattern or print and which shade of colour suits you. Discover a mixture of trends. This style-session will let you see Stylissimo’s top ten must-have pieces this season. Which includes ‘wear everywhere’ dresses, slouch boots and statement tees, knits and earrings. Looking for the chic version of Halloween? Forget bin-bag costumes and old school turnips. 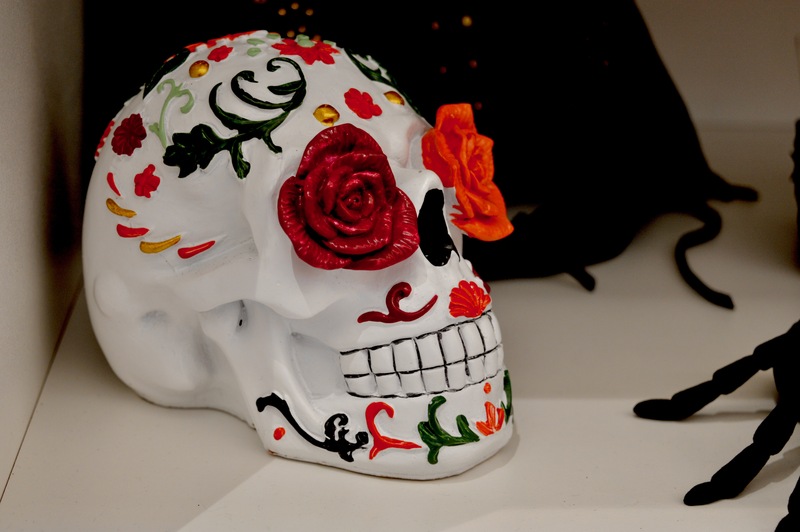 In this masterclass, you will delve into how to create the ultimate in Halloween Chic. 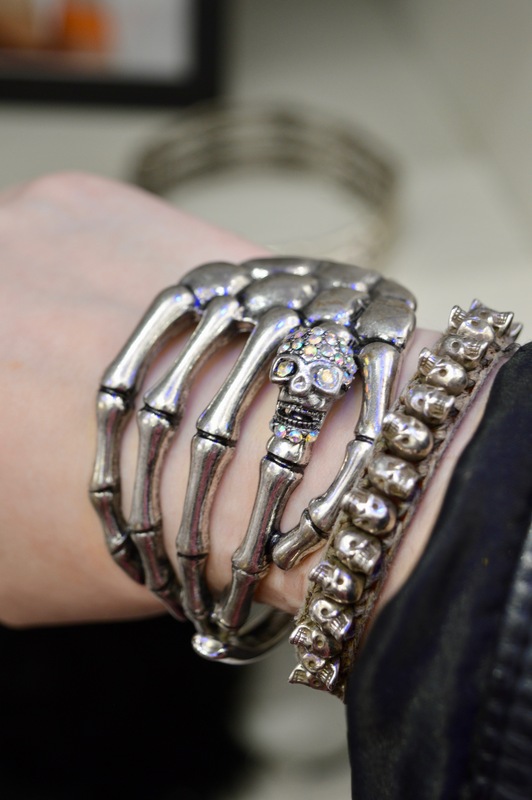 You’ll be shown the very best ghastly accessories that can help create a costume using items already in your wardrobe. Finally, why not discover how you can create super cute kids costumes for your little ones. Throughout the week you can also join your favourite beauty brands in the spooktacular closet. They will be showing you how to create show-stopping Halloween looks to scare the Ghouls away this October. If you’re looking for first-hand tips and tricks without having to watch YouTube then these sessions will be perfect for you. Ask the professionally trained make up artists any burning questions, to make sure your look is Pinterest worthy. All of these sessions have been put on for you completely complementary over the next week and intu Eldon Square would absolutely love to see you there. Don’t forget to #intufashion across your social media channels too! We were invited to the preview, where we were greeted with Tapas Revolution dishes upon arrival. Pollo Paella and Calamari were served with endless Sangria. 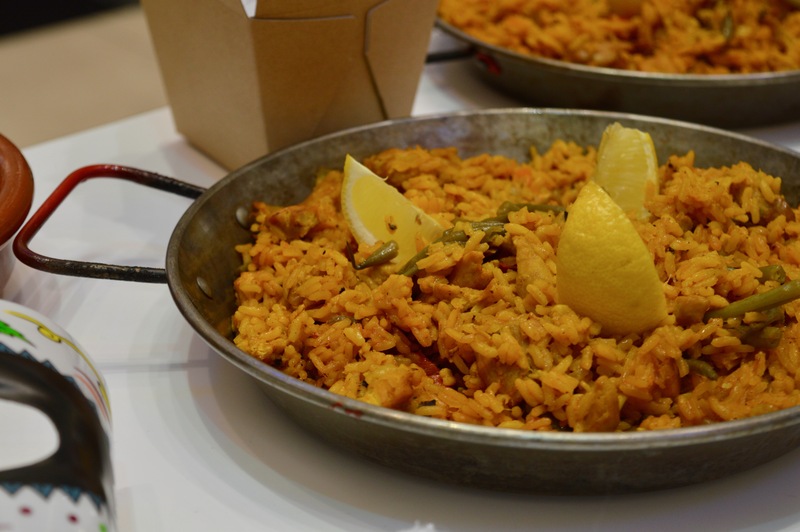 You may remember the other week we visited Tapas Revolution, you can check out the full review here. After we had filled up on delicious Spanish food we took a walk down into the walk-in closet, which had been spooked up for the occasion. We took our seats at the end before Emma gave us an introduction to party styling. With Halloween creeping ever closer Emma showed us how to take dresses, tops and tulle skirts, add a few accessories to create a sensational Halloween costume. 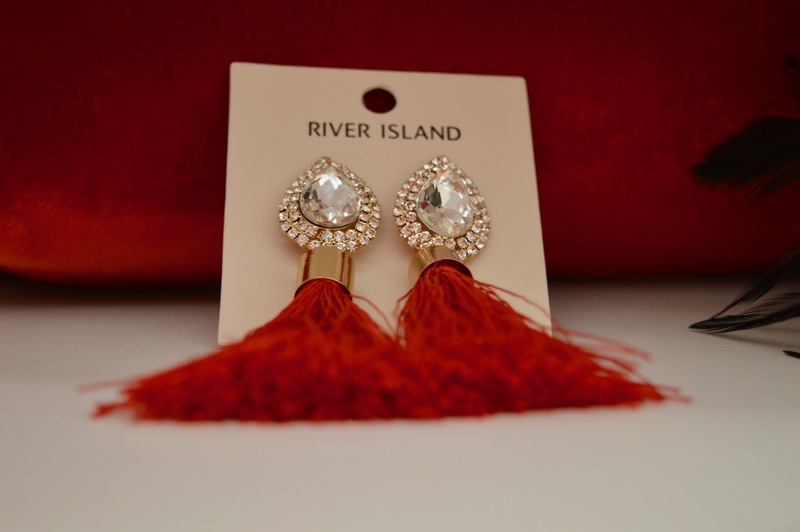 Which when accessories such as bunny ears or a masquerade mask are removed and exchanged for tassel earrings and a simple clutch can transform a simple dress from Halloween chic to Festive fancy. 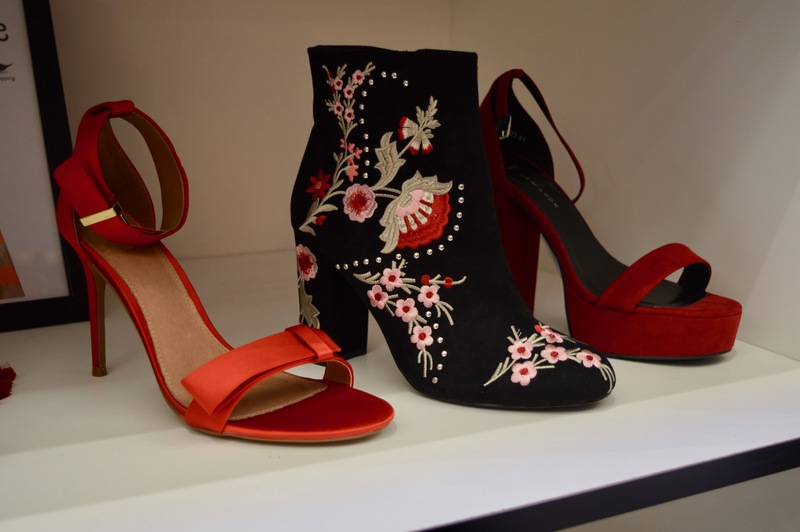 The key trends this season include highly embroidered chunky heeled ankle boots. 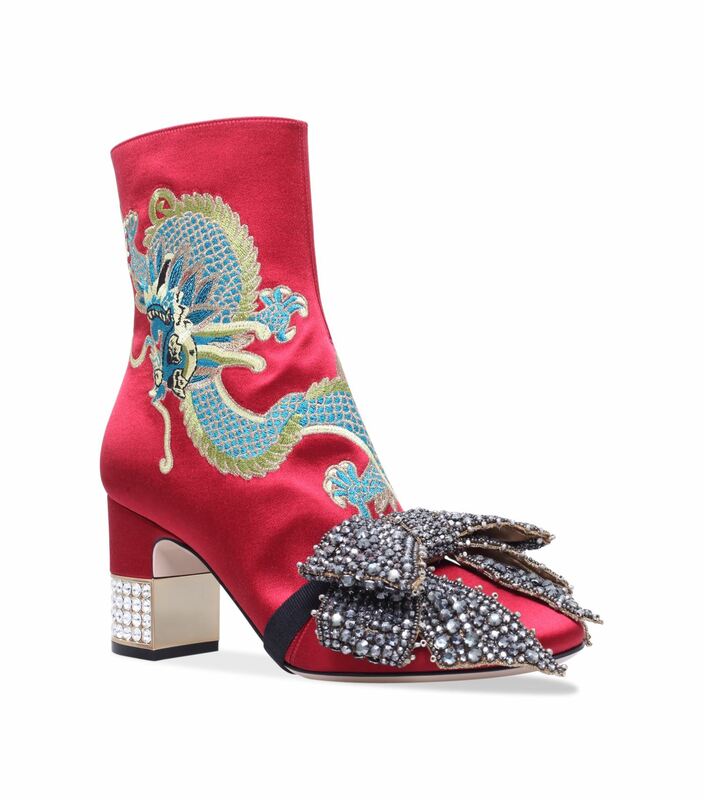 Massively channelling the catwalk’s favourite designer Gucci (£1,990.00). Alternatively, these high street versions are available from Monsoon (£79.00). 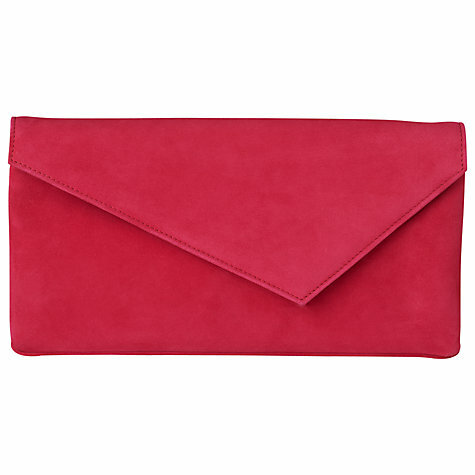 Most noteworthy, red is the key colour of the season. The main high street brands are draped in different hues of red from Grenadine to Tawny Port, as depicted by Pantone’s Fall ’17 report. Emma rather interestingly can help you to determine the colour in terms of which suits you perfectly. This is based on either blue or yellow colour bases. If the colour is warm or cool and then if it’s a soft or deep tone. It was interesting to discover the science behind choosing colours. One of my questions as a fair blonde was choosing the right version of mustard to wear. Recently I purchased a jumper in mustard with a blue/green hue which drained the colour from my face. So, together Emma and I worked out that a yellow based warm and deep mustard tone suited me best. We therefore then attempted this theory by taking the flash test. This is where you place the clothing item under your chin and flash it up and down quickly. If your complexion changes drastically then the item of clothing is a no go. Chunky knits and sherpa fleece are also huge trends this season and especially relevant. With Oasis, Topshop, New Look, Miss Selfridge and River Island forging the path in bringing the catwalk to the high street. 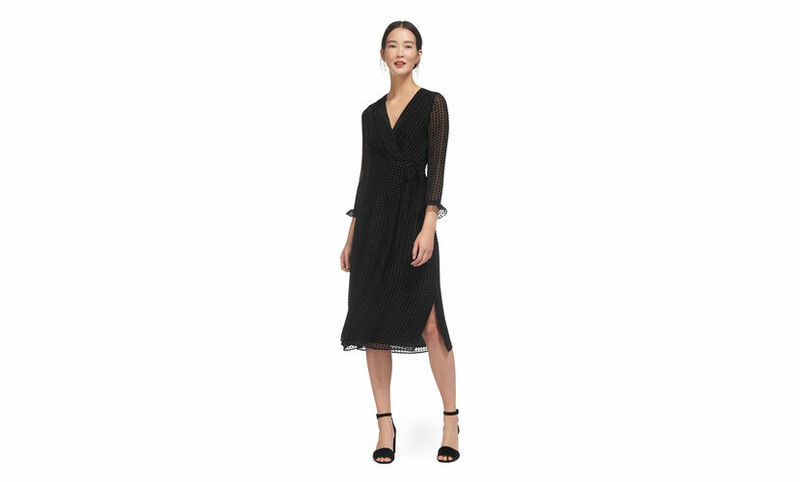 This subtle and stylish piece by Whistles really caught my eye. 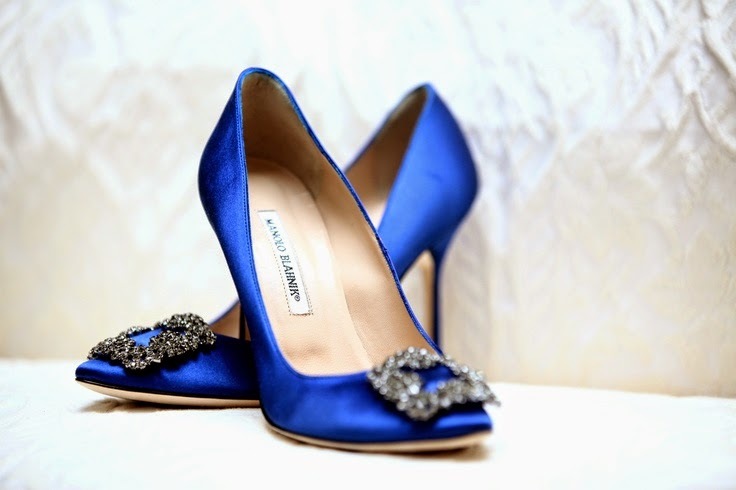 Alternatively, you can finally team with a pair of Manolos (£745.00) to create the ultimate swoon-worthy outfit. So it seems like if you’re looking for some seriously sassy fashion tips then intu Eldon Square needs to be on your list this week. Especially with the run-up to Halloween, you will probably learn more than anticipated from the Fashion Spooktacular. Next articleWhy as a Blogger, you’re entitled to NOTHING. Hawes & Curtis: My love for shirts and blouses continues.